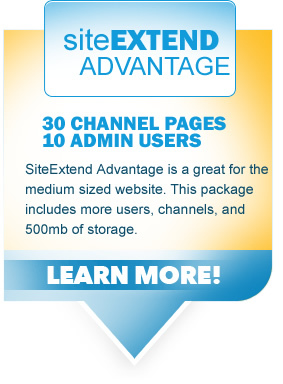 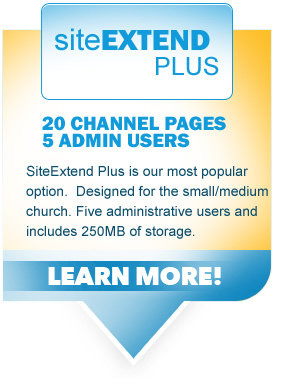 Site Extend is available at various levels to meet your specific goals and requirements. 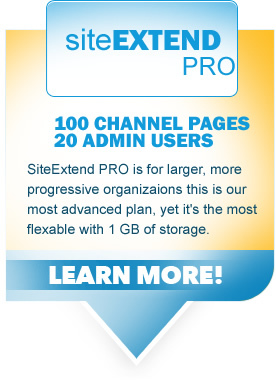 Simply pick the plan that meets your immediate needs and budget - and you're on your way. 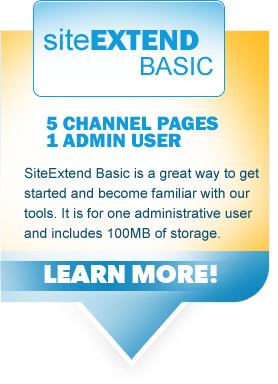 In only a few minutes, you can start editing a Web site that will revolutionize the way you communicate online.